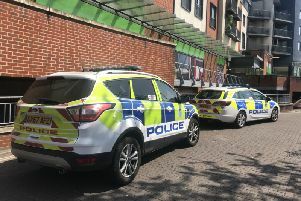 A man has been charged with several driving offences following a police pursuit through Crawley, the force has said. Officers pursued a vehicle in the West Green area last night (Wednesday August 31), Crawley Police said on Twitter. A man in his 20s was arrested and charged with failing to stop, driving without due care and attention, taking the vehicle without consent, no insurance and otherwise than in accordance with licence, the force added.